Benjamin has practised in Singapore, Hong Kong and Shanghai (as a foreign lawyer), and has been involved in many complex cross-border and multi-jurisdictional deals across Asia. He has been recognised as one of Asia’s Leading Lawyers for IP by Chambers Asia Pacific from 2009 to 2012, where he was lauded as being “smart, quick, precise, dynamic and on top of things”, and by The Legal 500 Asia Pacific (2018) as "one of the brightest minds" and is praised for his "valuable insight and experience". 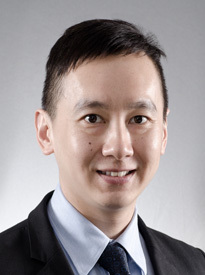 Benjamin has also been named as one of "Singapore's 40 Most Influential Lawyers Aged 40 and Under" by Singapore Business Review. Benjamin has more than a decade of experience in advising clients on contentious and non-contentious matters, with a particular focus on commercial intellectual property, technology and franchising/licensing transactions, technology outsourcing deals and data protection compliance. He has worked on a number of cross-border joint venture and mergers and acquisition deals across Asia, with a particular focus on the PRC. With the growth of the digital and knowledge-based economy, Benjamin has a keen interest in cybersecurity, blockchain technology, fintech, insurtech, medtech, digital payments and AI and keeps abreast with developments in these new technologies and industries. Benjamin’s clients range from mutinational companies to start-ups which span across a wide range of industries, including the IT, life sciences, financial services, insurance, retail, fashion, food & beverage, pharmaceutical and manufacturing industries. With a strong knowledge of the legal, commercial and regulatory issues that these industries are facing, he is able to provide practical and business-oriented legal advice to his clients. In addition, Benjamin is active in the start-up space and has been partnering with start-ups throughout various stages of their business life cycles (including the seed and development, startup, growth and establishment, expansion and exit stages). He regularly advises and gives talks to start-ups on issues relating to intellectual property protection, electronic transactions, consumer protection, data protection and general commercial laws. On the contentious front, Benjamin has also been involved in several high stakes litigation and arbitration matters in various jurisdictions, including cases heard before the Singapore High Court and the PRC Supreme People’s Court. He has travelled extensively across the PRC to lobby with government officials and judicial and administrative authorities for better IP protection for his clients. Benjamin is fluent in English, Mandarin (Putonghua) and Cantonese. Advised a Swiss banking software and business process outsourcing provider on (1) implementing large-scale IT outsourcing services across multiple jurisdictions to financial institutions of various sizes, and (2) the drafting of client’s entire suite of IT procurement and services agreements for the establishment of client’s business process outsourcing (BPO) centre in Singapore. Advised the world’s largest web-hosting company on establishing its business in the PRC and successfully assisted client to apply for and obtain a Value-Added Telecommunications Services License with the PRC Ministry of Industry and Information Technology. Acted for the telecoms regulator in Brunei Darussalam (AiTi) in drafting their telecoms licensing regime, interconnection and competition regime and telecoms regulators operational handbook. Advised a US heavy truck and engine manufacturer in a joint venture with a major Chinese automobile and spare parts manufacturer for the manufacture and sale of heavy duty trucks in the PRC, in particular, drafting of joint venture agreements, technology license agreements, technical assistance agreements and engineering services agreements. Advised a global company that provides information, services and technology for the healthcare industry on a Medicines Authentication Partnership Agreement with a Frankfurt company for the provision of mobile phone and web-based services to authenticate the provenance of prescription medicines within the PRC. Acted as Singapore counsel for a Chinese state-owned enterprise on various agreements relating to the establishment of a theme park in Beijing. Advised a multi-national pharmaceutical company on a joint research and development project on new biomarkers for the development of personalised medicine with a major Singapore hospital. Advised a US investment management software company on issues relating to assignment of inventions created by the employees of its Chinese subsidiary to the US head office. Advised various clients on their trademark portfolios in the PRC and Asia, including conducting availability searches of trademarks, advising on and preparation of applications to register, licence and assign trademarks and trademark opposition and cancellation proceedings. Advised a Swiss pharmaceutical company on a Collaboration Agreement with the Guangdong Institute of Respiratory Diseases for the research on chronic obstructive pulmonary and respiratory diseases. Advised a Danish biotech-based company on a Framework Agreement, Co-Development Agreement and Materials Transfer Agreement with a major Chinese petrochemical company for the research and development and mass production of bioethanol bio-fuel from agricultural waste. Advised a health and fitness company in several investigations commenced by the Personal Data Protection Commission of Singapore for alleged breaches of the PDPA which closed with no adverse findings against the client. Advising and carrying out a full suite of compliance activities for various banks, insurance companies, financial advisory companies, credit card companies, healthcare companies and hospitals and education institutions to deal with Singapore personal data protection law. Advised on, drafted and reviewed company policies containing data protection provisions (including without limitation data protection policies, IT security policies, data retention policies and whistleblowing policies) for various banks, insurance companies, financial advisory companies, credit card companies, healthcare companies and hospitals and education institutions. Advised a Chinese mobile equipment firm with the implementation of its global data protection policy. Conducted a mock data breach crisis incident and data protection training for a Singapore urban and business space solutions provider. Advised a multi-national restaurant business in establishing a franchise in the PRC and registering its franchise with the PRC authorities. Advised a Korean bakery chain in franchising and licensing its business in Vietnam and Malaysia. Acted for a German multinational skin and body care company in an acquisition of a Chinese skin and body care company. Advised a European retailer of consumer electronics on a joint venture deal with a Taiwanese multinational electronics contract manufacturing company for the establishment of a chain of electronics retail stores in Shanghai. Advised a leading South Korean chemicals company on the establishment of a joint venture with a Saudi Arabian chemicals company for the construction of a chemical plant in Ulsan, Korea and the development, production and sale of certain polyethylene technology. Advised a German luxury brand on franchising arrangements with its franchisees for the establishment of luxury boutique stores in Singapore, Malaysia and Thailand. Advised a Singapore listed bakery on a joint venture and franchising deal with an American fast food company for the establishment and operation of fast food restaurants in Shanghai, Zhejiang and Jiangsu Provinces, China. Acted for an Australian fashion brand in various legal actions against a Chinese trademark pirate in the PRC, including various customs, administrative, civil and criminal proceedings filed by and against the trademark pirate. Represented a multinational tax refund company against an Irish company in a patent infringement lawsuit filed in the Singapore High Court. Acted for a US multinational pharmaceutical company in a civil litigation action and subsequent re-trial application to the PRC Supreme People’s Court in relation to trademark infringement and unfair competition by a Chinese pharmaceutical company (listed as “Top 50 IP Cases of 2009” by the PRC Supreme People’s Court). Acted for a French multinational wines and spirits company in the establishment of and execution of its anti-counterfeiting programme in the PRC which covers more than a thousand targets a year, including sending of cease and desist letters to infringers, administrative actions, civil actions for trademark infringement and passing off, criminal actions (including obtaining the first criminal injunctions for IP infringement in Xiamen and Guangzhou), lobbying with enforcement officials, government officials and judges and training of brand protection staff. The highly successful anti-counterfeiting programme was subsequently extended by the client into Malaysia and Vietnam. “China’s New Anti-Terrorism Law: Implications for Firms Dealing with Data in China” published in the Bloomberg World Data Protection Report (February 2016). “THIS TIME, IT’S PERSONAL: The Personal Data Protection Act will change the way that SMEs conduct telemarketing”, SME Magazine, Singapore Business Times (August 2013). “IP In China – Protection and Tax Optimisation”, International Tax Review (October 2008). Contributed to the Intellectual Property chapter in “Singapore Precedents on Pleadings” (Sweet & Maxwell, 2006). “Legal Issues Surrounding the Importation of Software into China”, The Singapore Law Gazette (January and February 2004). “Windows into the Middle Kingdom: A Peek into the Importation and Sale of Software in China”, Singapore Journal of International & Comparative Law (2003).